Dance Nation by Clare Barron is The Almeida’s latest play – a ferocious exploration of youth, ambition and self-discovery seen through the eyes of an American pre-teen dance group battling for power and perfection on and off the stage. Directed by Bijan Sheibani (The Brothers Size, Young Vic) with choreography by Aline David (Macbeth and The Merchant of Venice, RSC), the play runs until 6 October. 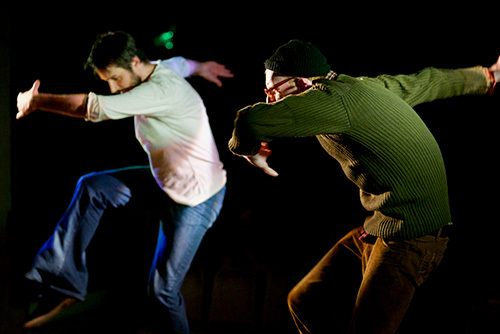 SEXBOX at The Place is a dark and futuristic dance work from Bristol-based company Impermanence. Somewhere between a contemporary dance work, fashion show, cabaret night, art installation, punk gig and music video, this intriguing work brings to life a sci-fi world where ideas of gender fluidity, queer expression and sexual liberation are explored through the lens of pioneering electronic musician, Ursula Bogner. Working from her DIY studio in 60s suburban Germany, Bogner was inspired by the controversial feminist psychoanalyst Wilhelm Reich who believed the healthy expression of sexual energy was the route to salvation. The all-male comedy ballet troupe The Trocks presents the second programme of side-splitting ballet send-ups of their current UK tour. See them at The Peacock, in a programme that includes interpretations of Fokine’s “ballet blanc” Les Sylphides, the colourful pas de six from the Bournonville classic Napoli and the wedding scenes from the 19th century Petipa ballet, Raymonda. 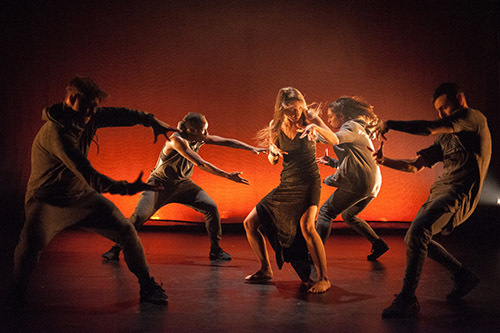 Choreographer Andrea Walker directs a cast of seven dancers in Skin at Greenwich Theatre, an emotionally charged story of identity, family, mental health and belonging from 201 Dance Company. This dance theatre piece fuses hip-hop and contemporary styles, following a boy’s journey through gender transition. Created as a collaboration between choreographer Ben Wright (Associate Director of Skånes Dansteater) and musician/writer Stuart Warwick, Point of Echoes at The Place is a haunting tale of love, death and monsters, set on a lighthouse somewhere off the coast of England. Lest We Forget at Sadler’s Wells is the revival of English National Ballet’s WWI-inspired triptych, reflecting the experiences of those who fought, and those who stayed behind. The programme features Russell Maliphant’s Second Breath, Akram Khan’s award-winning Dust and Liam Scarlett’s No Man’s Land. This weekend is Open House London, the world’s largest architecture festival, and a chance to nose around some of the city’s most interesting and iconic buildings for free. Head to The Royal Opera House to see its refurbished front of house and Linbury Theatre, or take a history tour of the London Coliseum, the largest theatre in the West End, which, alongside its residents English National Opera, plays regular host to English National Ballet and visiting companies from around the world.